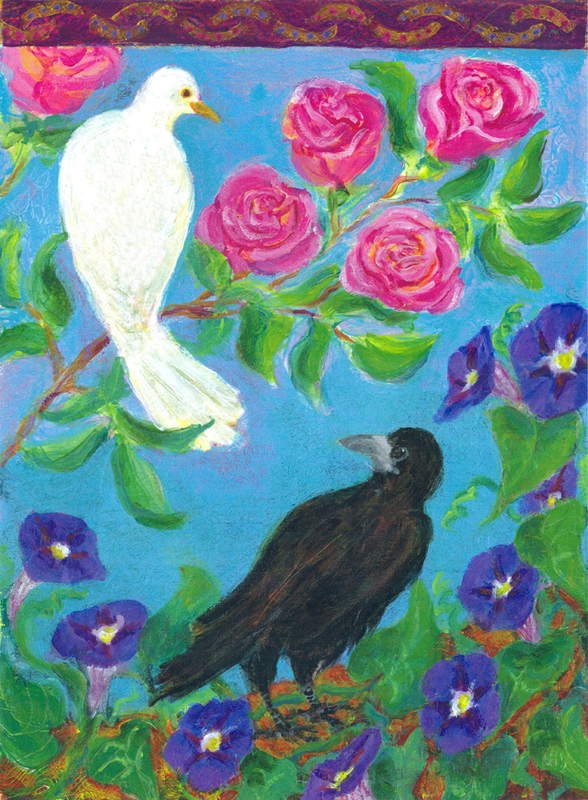 Each year around this time I paint a white dove in honor of International Peace Day which occurs on September 21st. 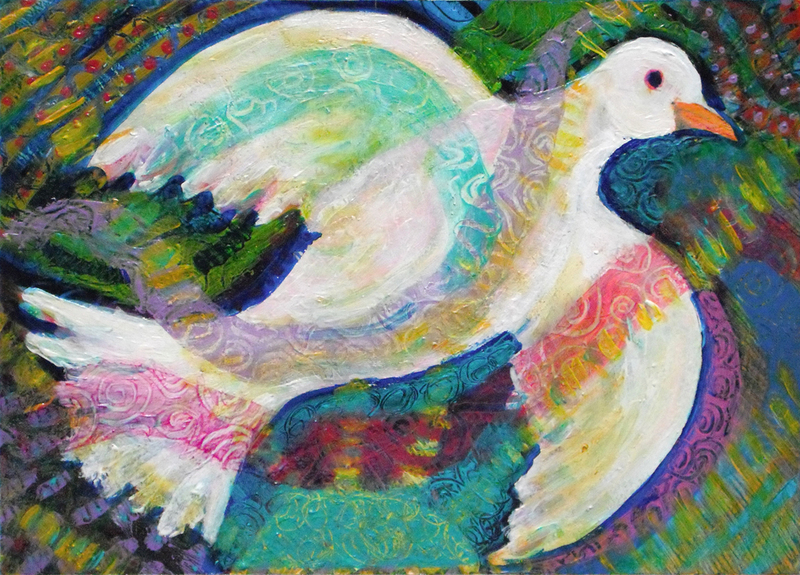 On Monday as Tropical Storm Irma was blowing through Atlanta I decided to paint a new dove. It was a stressful day for my husband as he was in the last stages of finishing up a big job and couldn’t afford to lose time in a power outage. I have a large studio window upstairs and watched the big trees in the back yard sway back and forth. The winds felt relentless, with big gusts coming through every few hours. In our neighborhood alone around seven or so large trees came down; many of our neighbors lost power. Half of our county lost power, with the children just returning to school yesterday. We were very, very lucky to have kept our power and also the internet service which was equally as important for my husband. It was quite a storm and my heart goes out to all that suffered loss. 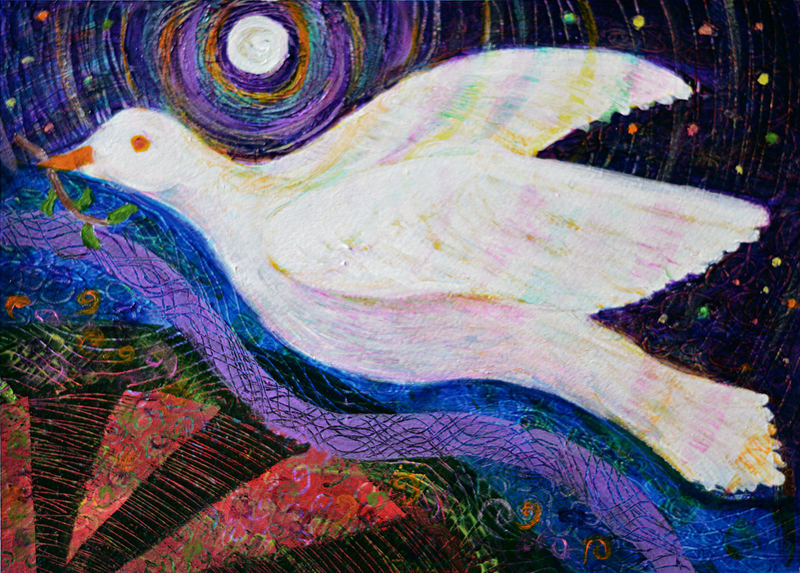 I was pondering why the dove is a symbol of peace and thought one reason is the beautiful curves it has, the rounded head and nicely feminine, curved form. I tried to accent that in this painting. 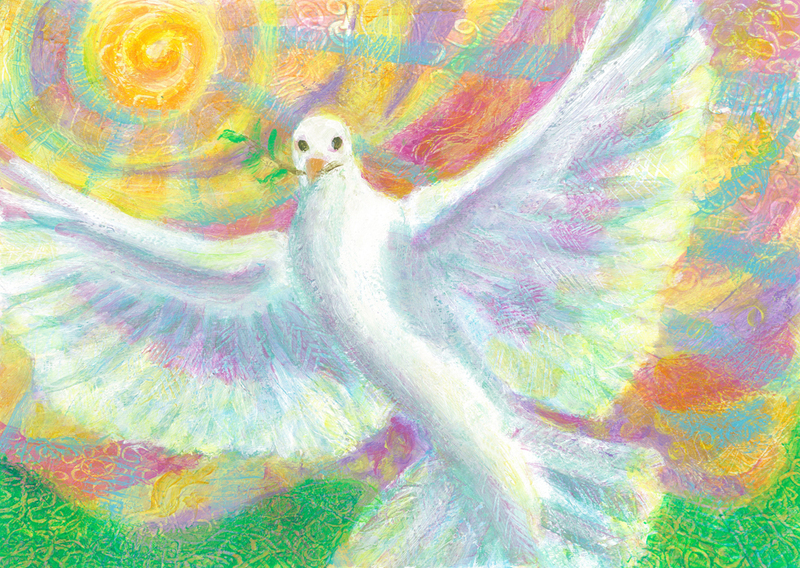 I then kept painting curving colors around and through the dove. I starting seeing all the curves that I was painting as the wind that I was hearing. It was a good distraction from our fears of losing power. I liked the way it turned out. 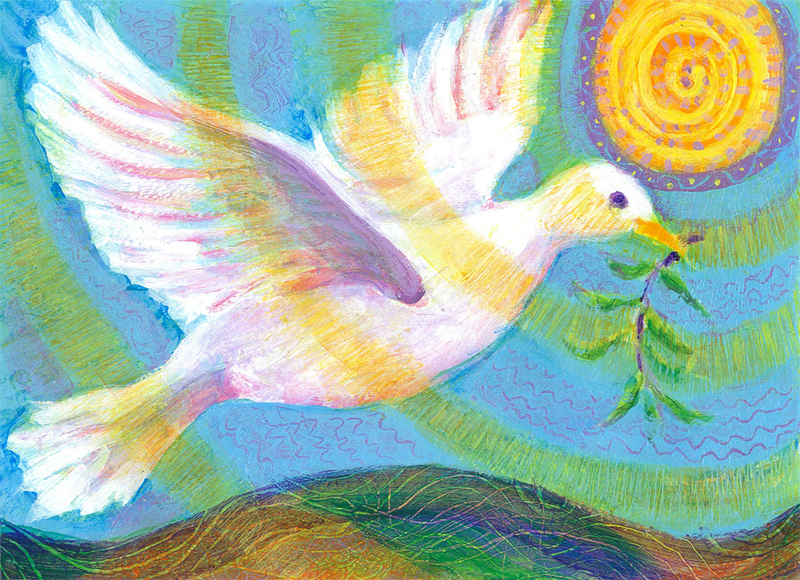 When I look at this dove it makes me think of these powerful natural events that touch us and in some ways bring our humanity out as we come together to help and renew.